Apple’s struggles in crucial global smartphone markets like China and India are no longer a big secret, but at the same time, the company is certainly doing a decent job maintaining and even boosting its iPhone user base in the similarly essential US market. 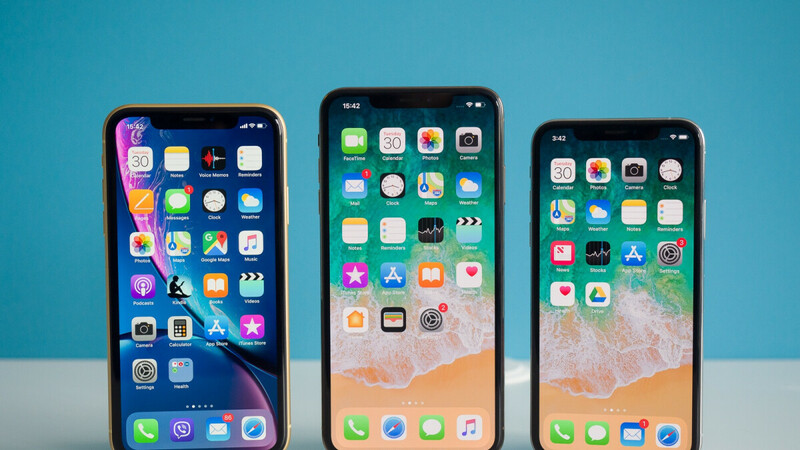 According to the latest report from Consumer Intelligence Research Partners (CIRP), which is largely based on official financial results released by Apple for the October - December 2018 quarter, there are at least 189 million iPhones currently in use in the US. That’s a significant improvement from the 166 million iPhone US installed base estimated for the end of 2017, as well as slightly larger than the 185 million unit count from 2018’s third calendar quarter. While actual sales have started to decline, this number has been steadily growing over the past couple of years, mainly thanks to first-time iPhone buyers rather than folks switching from the Android side. That said, the installed base progress appears to be slowing down as well, from 19 percent between Q4 2017 and Q4 2018 to 14 percent now compared to a year earlier. 2018’s holiday season raised the tally by a measly 2 percentage points versus the September quarter, while Q4 2017 figures rose a cool 5 percent from the year’s third quarter. Bottom line, although Apple doesn’t exactly have a problem in the US just yet, this market isn’t thriving as it used to either. Overall, CIRP analysts believe only around 62 million iPhone units were sold globally between October and December 2018, compared to the International Data Corporation’s 68 million estimate and Counterpoint’s 66 million figure. Whichever of the three might be closer to reality, it represents a massive drop from Q4 2017, when Apple itself confirmed worldwide iPhone shipments of 77.3 million units. Just produce a more compelling iPhone Apple. Chevy did it with the C7 Corvette, and it outsold the C6 like crazy. Sometimes you just gotta push the envelope, and stop resting on it...Apple. A 189 in the US is a lot. How many actually have and use both platforms. That would be an interesting metric. I'd love to know those numbers. I have both. Same. I just like having two different options in my pocket. Plus Android has a far better audiophile experience than iOS. Gotta have both, love both. Doesn't matter that things are declining for the iPhone globally... Apple will still find any and every way to laugh all the way to the bank! Certainly, with an installed base in the US of 189 million, more than half of all Americans are now iPhone users. I don't know if you can draw that conclusion. I know several people with multiple phones and some people with both iPhone and Android. I also know people that keep their iPhone active, even when it is not on a network. I've done that. So, I wonder what the numbers actually reflect. The real measure would be what the networks report. Not Apple. That’s where the service-revenue steps in. If someone buys an app from App Store or Google Play, music, movies etc. that reflects if you’re using your device or not. Thats not the way they record userbase numbers. It's done by collecting any device that pings a Apple server once in that month. So for example i have an old iPhone 5s sat in a drawer, if i turn it on to check the battery it will ping the Apple server through wifi, that is then classed as an active device on the userbase even though it's not really in use. No I'm just saying that was important is when you install something on your phone. Everyone has an old phone, doesn't mean you are using it. Well, I would expect that iPhone users and Android users are not mutually exclusive, which is a good point. I am simply saying that chances are that there are enough active iPhones in the hands of Americans (189 million, as opposed to the total population of the US nearing 330 million) so as to make at least half of Americans iPhone users... now, that certainly doesn't exclude many of them from also being Android users, or just using iPhones as a work phone, or whatever. But if the majority of these 189 million iPhones are in the hands of someone who only has one phone (I do not know if that is indeed the case, but it is an educated guess... I might estimate that at least 90% of them are standalone), then we easily reach 165 million people, or half of the US population, that own just an iPhone, or at least have an iPhone as their daily driver. The article states "iPhones currently in use". It is possible that many people own more than a phone. So I wouldn't say that 189 million individual Americans own an iphone. Not really, they can just tap the screen. Atleast lot of them, not remembering when that feature came. ...and thus obey Apple's device design based on addiction, requiring you to interact with your phone every few minutes, when you could just go on with your work uninterrupted and see if something happened just by looking at it, from any distance. Thanks, I will keep in mind to buy Apple's $400 notification LED that needs recharging every night when I will buy my first iPhone. I swear, y’all make up the stupidest reasons to hate iOS. You honestly think people are losing sleep over not having AOD? That’s usually the first thing I turn off (even on OLED screened phones) cause it’s usually a waste of battery life anyway. I actually have two Apple watches. On series 4 (which holds battery for a full weekend) and gen 0 for work. And not because of notifications, I hate those. Only check if it’s an important message. But I love to monitor my health which I monitor 24/7, sleep, heart rate and so on. LoL I can do that with a fitness band which costed me 30$. Bonus, I charge it every 3-4 weeks. I miss my notification LED. Wish it was standard on all Androids. This is probably because of tweens and teens screaming at their mommy and daddy, "I want a iPhone" just as they would scream at whenever celebrities who get engaged or whatever they do. You can’t possibly believe that children make up half of the population in the nation. I’m beginning to think that the iPhone’s popularity causes them actual physical pain. Its official now... Americans really are stupid. IPhones have never been cheaper in the states, new models get BOGO deals constantly and older models can be had for less than the majority of Android phones. Carriers use iPhone deals to gain customers. It's really not shocking when a reliable phone can be had for so little. How many are installed by companies and given to employees that hate the damn things and never use them..? ( I count for "two"). iPhone uses a clunky GUI, and is a complete piece of crap. If I didnt have to have it I wouldn't, My Sony Xperia is a far better phone.. and what I use. I use the Apple for nothing more than phone calls for work. That's it.. Apple will slowly die like the Mac and the market will be left to Android for phones and WIndows for PCs. I see a lot more companies switching to Surface because the limitations of using iPads. Because we have 3 choices. Samsung, Apple and Google. That's the way the government wants it. They can't control us and spy on us if a "Huawei or a Revo" is selling 400$ handsets here that are just as good that the U.S government can't put their spy ware into. This is all about politics sheeple. If Huawei were allowed to thrive in the US then it'd be over for Apple and Samsung.